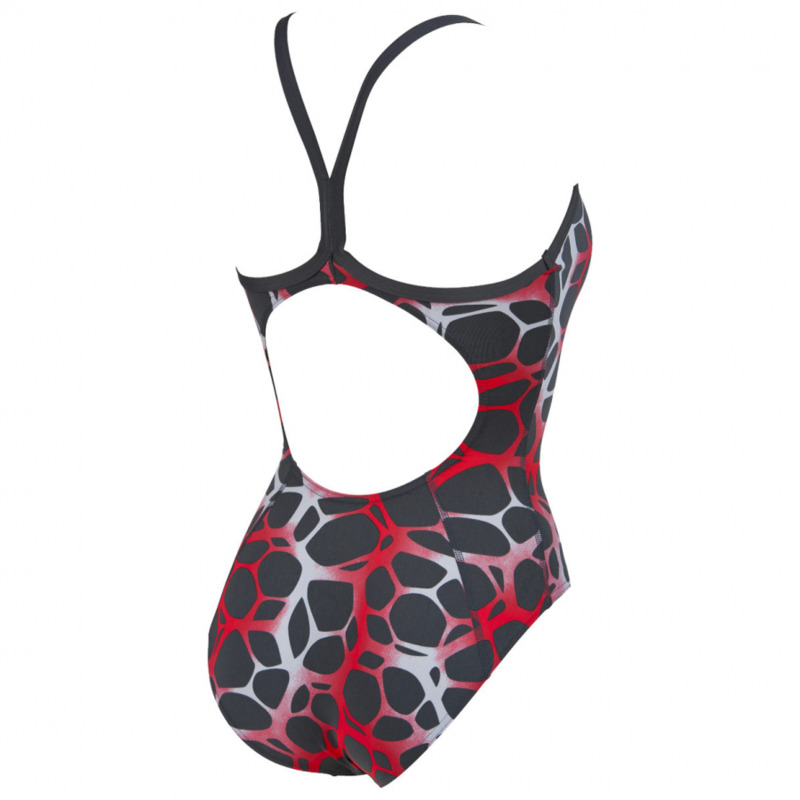 The grey and red Polycarbonite swimming costume features an eye-catching all over pattern which is inspired by polycarbonate cell structure. This swimming costume has a ‘light-drop’ back design which provides a look which is sporty but still feminine. This ultra stylish design is also extremely comfortable.. The Polycarbonite swimming costume uses Arena’s MaxLife material which is designed to provide long-lasting comfort and performance. The superior quality fabric is 46% pbt and 54% polyester which is chlorine and sunlight resistant and is one of the most elastic and durable swimwear materials available. This material combination also produces a suit which moulds to the body and allows the best freedom of movement which makes it perfect for regular training.